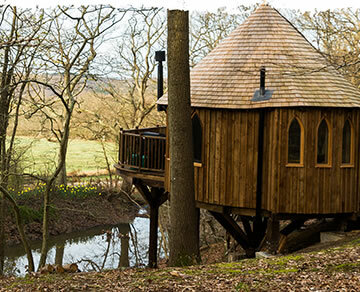 Perched above a pond amongst ancient woodland Hoots Treehouse is truly hidden away – and yet, is only 45 minutes drive from the M25. 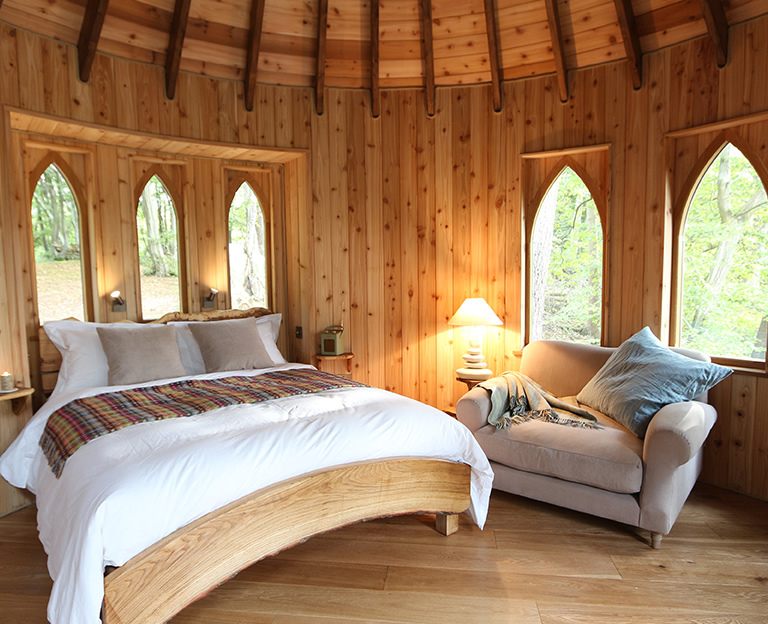 This really is the perfect woodland retreat to relax in. 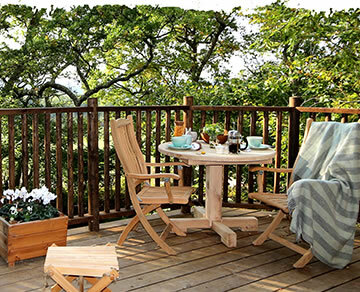 Gaze at wildlife and nature from the comfort of a deckchair on the balcony and listen to owls and song birds as they fly amongst the trees all around. 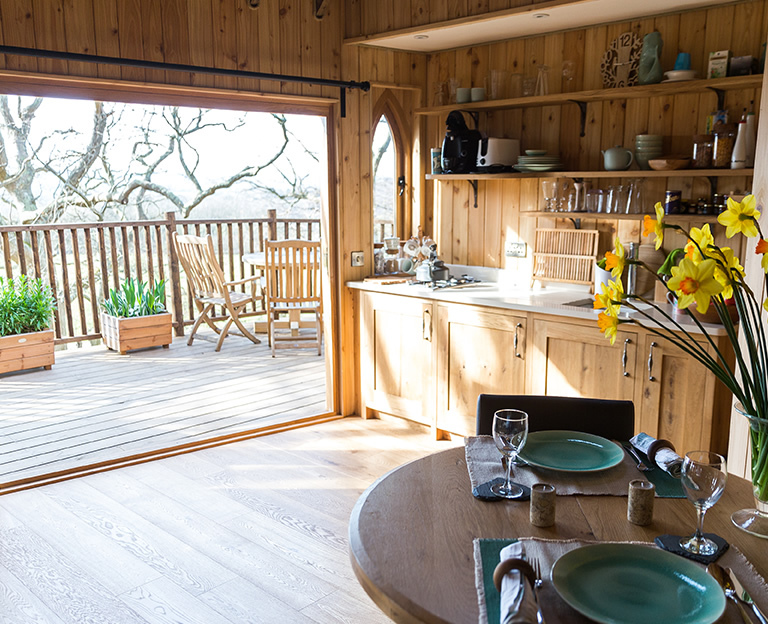 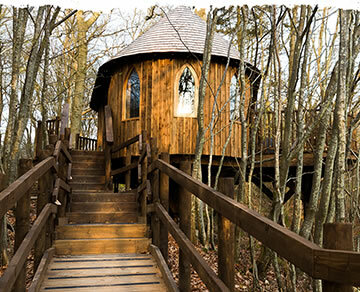 Clad in aromatic cedar wood and beautifully furnished, Hoots Treehouse is simply heavenly. 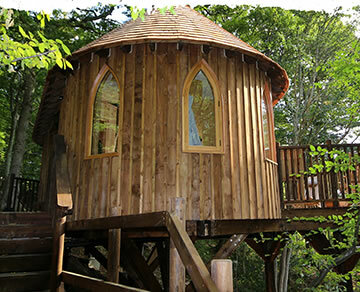 This is a wonderful place, so well thought through and beautifully made. 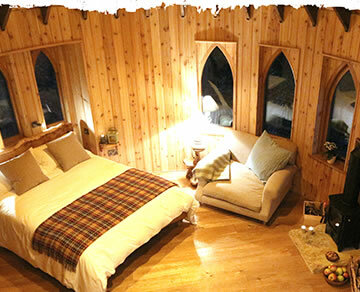 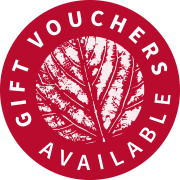 We really loved the complimentary extras, the glorious views, the owls the stars at night and warm and cosy living space.